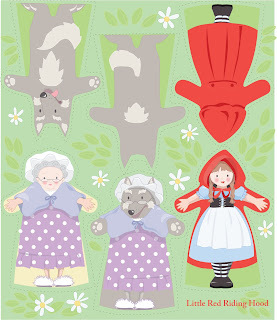 uppet patterns is the latest competition at spoonflower, and as I am dreaming about dolls and etsy glory thought I would try my hand at the puppet ideas. I have 9 hours to kill in Singapore airport and the whole place is filled with busy looking people all plugged in...how could I just sit here and eat cake! So, Singapore airport? Not home yet? Will you be able to get back? There are really cute. You should enter them. We all drew wolves today in Kindergarten. It was fun to see all their different versions. Hope you are finally back home. Great theme. I had a topsy turvy doll when I was a girl, that my toddler now plays with. 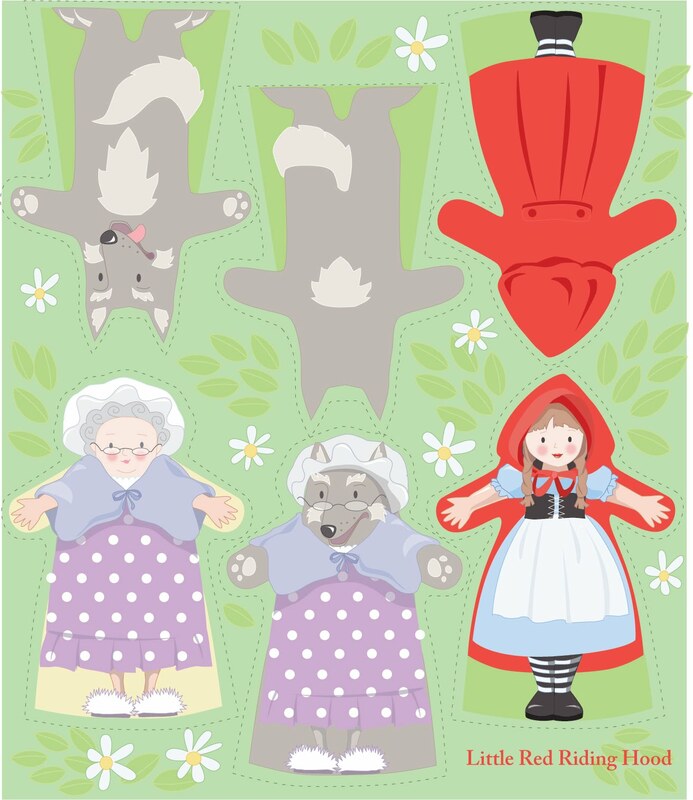 The doll usually sits with the other toys as Little Red Riding Hood - but flip her upside down and you have the grandmother and then turn grandma around and you have a wolf in grandmas clothing.